Get into the Holiday Spirit in Lodi! 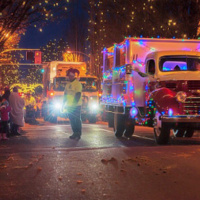 If there’s one way to tell Christmas is coming to Lodi, it’s the 23rd annual Lodi Parade of Lights on December 6th. This lasting Lodi tradition features more than 80 floats, thousands of light strings, and a marching band that, quite literally, ushers in the season. Lodi's annual Light Parade may kick the holidays off here, but there is a ton more to do throughout the entire season. Here are some of our favorite holiday events, shopping destinations and places to dine during the holidays. 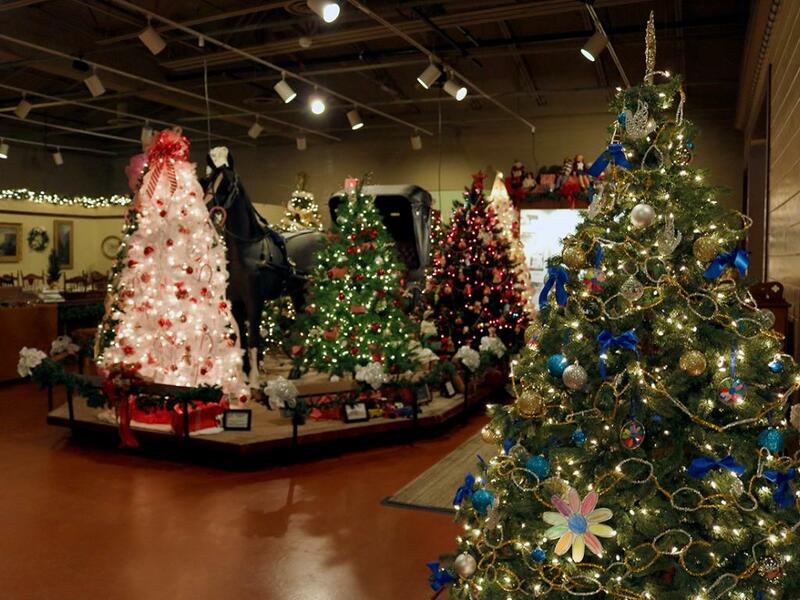 The 27th annual Festival of Trees at the San Joaquin County Historical Museum, set for Dec. 1 and 2, in Lodi is a spellbinding introduction to the holiday season. 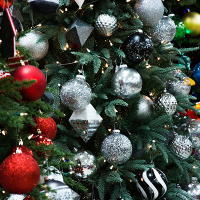 This family holiday event features more than 60 uniquely decorated Christmas trees, children's activities and "make and take" crafts, entertainment, food available for purchase, photos with Santa, historical exhibits and demonstrations of pioneer or handcrafted work. You may know Lodi for its award-winning wine, but it’s the shopping this season that will impress even the most discerning. Walk under the impressive Lodi Arch and hit the downtown streets for boutique shopping you won’t find anywhere else. Looking for gifts for hard-to-shop-for people? You’ll find something for everyone on your list downtown, like unique home and garden decorations from Devine Home & Garden, antiques from The Purple House, Parisian inspired gifts from French at Heart or designer clothing and gifts at Stella Mitchell. Lodi gifts make a statement with originality and thoughtfulness. This December, you’ll taste the very best of seasonal cuisines as you explore local events or enjoy downtown shopping. 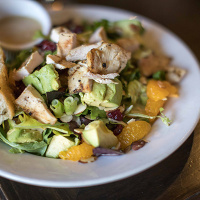 For foodies looking to have a purely local affair with their plate, don’t miss Towne House restaurant inside the Wine & Roses Hotel. James Beard award winner, Chef Bradley Ogden is innovative and eclectic with his dishes and proudly sources seasonal and local food. The dinner menu features extraordinary plates perfect for a chilly night, such as the grilled Niman Ranch pork chop, roasted duck breast or so much more. Top it all off with a handcrafted cocktail such as the Smooth Criminal (Charles Goodnight Bourbon with apple cider, maple syrup, lemon and cardamom bitters) or the light and refreshing Speeding Bullet (Infuse Spirits Vodka with lime, grapefruit, and rosemary infused simple syrup). Rosewood Bar & Grill is another fine example of localized food systems and farm-to-table cooking; this time at a casual but refined restaurant. Here you’ll find an assortment of American classics with modern details. Rosewood sources as much of its food as possible from nearby growers and ranchers to ensure the seasonal flavors are like nothing else you’ve ever had. Speaking of seasonal, it’s not just food rotating this winter; it’s beer and wine, too! The Dancing Fox is a local winery and brewery located on School Street in Downtown Lodi. Here you can sample award-winning wines and seasonal craft beers. Grab some freshly made bread from their bakery, or try one of their signature sandwiches, locally sourced salads or wood-fired pizzas. Check out some of the cozy accomodations and special packages available at local lodging and plan your Lodi getaway at VisitLodi.com. Follow us on Facebook, Twitter and Instagram for news and information on upcoming events and be sure to use #HappyHoLODIays and show us how you spend the holidays! Stella Mitchell is now home in Downtown Lodi.